Researchers have elucidated the mechanism of action for molecular iodine to determine how it helps protect women from fibrocystic breast condition (FBC) and confirm how it attacks breast cancer. 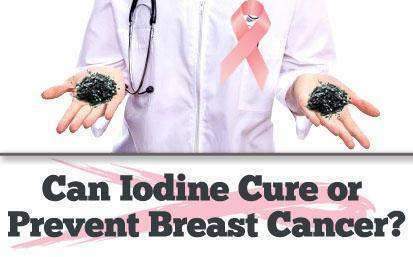 Numerous studies have previously suggested iodine supplementation can promote breast health, but none had determined precisely how it worked with FBC cells. Investigators sought to identify the specific MOA that made molecular iodine effective. Investigators conducted in vitro studies to assess the biochemical interaction through which molecular iodine affects breast cancer cells and cells derived from fibrocystic breast tissue. The FBC study used MCF10A, a human immortalized mammary epithelial cell line derived from fibrocystic breast tissues of a 36-year-old female Caucasian. It was treated with molecular iodine at various doses and proliferation was measured. This was followed by gene expression analysis of key important markers, which are responsible for cell growth and apoptosis. Again, primary human mammary epithelial cells derived from a healthy female donor were used as an internal control. The breast cancer study focused on two common breast cancer subtypes using well-established breast cancer cell lines, MCF7 (a luminal A subtype) and MDA-MB231 (a triple-negative subtype). Cells were treated with molecular iodine at various concentrations to measure proliferation and cell death. This was subsequently followed by gene expression analysis of key important molecular markers, which are primarily responsible for cell growth and apoptosis. Primary human mammary epithelial cells derived from a healthy female donor were used as an internal control. Data from these studies indicated that molecular iodine has potent inhibitory effects on cell growth in both breast cancer and FBC. The data also showed a dramatic increase in cell death in breast cancer cell lines used in the study and in cells derived from fibrocystic breast tissue. In the FBC study, gene expression analysis using quantitative RT-PCR confirmed that cell cycle genes controlling G1-S phase transition were up-regulated. No significant changes were seen in Cyclin B expression levels which, again, suggests that cells were arrested before entry into cell division. Expression of nuclear hormone receptors PPAR-α and PPAR-γ was up-regulated. BCL-2, inhibitor of cell death was increased, while expression of caspase-3 was decreased, thereby suggesting molecular iodine can induce cell death through activation of caspase―independent apoptosis. In the breast cancer cell line study, gene expression analysis using quantitative RT-PCR also confirmed that cell cycle genes controlling G1-S phase transition were largely up-regulated. Changes were not seen in Cyclin B expression levels, which further suggest that cells were arrested before entry into cell division. BCL-2, PPAR-α, and PPAR-γ was also up-regulated along with down-regulation of caspase-3 suggesting molecular iodine induced cell death through activation of caspase-independent apoptosis pathway. Interestingly, mesenchymal-epithelial transition or MET occurrence was noticed upon molecular iodine treatment as indicated by sharp increase of GATA3 and E-cadherin and significant down-regulation of vimentin in invasive MDA-MB231 cells. Further studies are underway to determine possible effects of molecular iodine in these breast cancer subtypes using in vitro 3D models. “Our preclinical data suggest that administration of molecular iodine may enhance traditional therapies for the treatment of breast cancer and FBC,” said Xu. 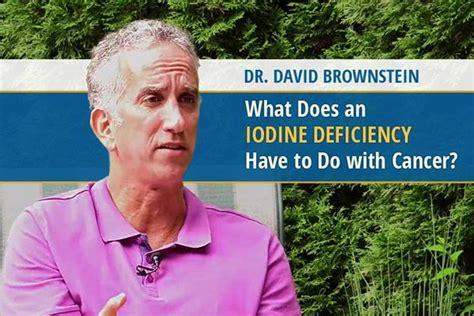 While the application of iodine supplementation has long been recognized in clinics, treatment effects have not been effective because iodine supplements in the market are either unstable or contain iodine salts, both of which are proven to be ineffective and have strong, undesirable side effects. 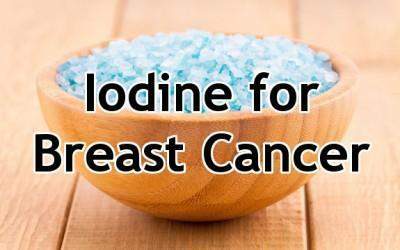 Only molecular iodine (I2) has been found consistently useful in the promotion of breast health. Regular use of molecular iodine has been shown to reduce the sensitivity of breast cells to the proliferative effects of estrogen, resulting in normalization of breast tissue. The challenge with molecular iodine is that it is unstable and oxidizes, losing properties useful for breast health. Today, only one formulation of I2 that targets breast cells is commercially available. It consists of iodide and iodate salts that, when exposed to gastric pH, react to form molecular iodine.